Nowadays it may be hard to find a guy who is unconscious about the current trends. Be it the field of fashion, travel, luxury or anything. Everyone wants to know about the latest trends and wants to be updated with it. Similarly, if a question arises on asking which is the newest trend in the field of computing the answer will be none other than tablets. 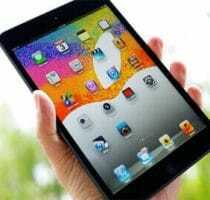 Tablets are spreading their popularity in the current market by storm. These multimedia devices give you access to e-mail, video calling, internet connectivity, play videos and capture images while you are on travel or out of home. They substitute many of the modern laptops on the basis of their small and lightweight design. As you are on the search for the best Android tablets available, here we put forward the top 5 based on their display, operating system, price and much more of what you need. So, scroll down and find out which one is built for you. The Sony Xperia tablet Z is simply one of the best you can get. It is waterproof and scratch resistant so that you don’t have to worry that your children or friends may spoil your tablet. This stylish tab is upgradable to Android 4.2. Although the display is not as radiant as the Samsung’s Nexus 10, the Z’s 10.1 inches screen offers quite a good overview of the colors. The Sony Xperia Tablet Z is overall an excellent must have gadget with the 2 GB RAM, Quadcore processor and an 8 MP rear camera ensures a high performance and it lifts Xperia Tablet Z to a higher position. The price is around 700 €. A mind blowing device that has a 7 inch display with 323~ppi pixel density that offers a clear display of colors. The crystal clear display and affordable price make the Nexus phones entirely superior to others in the market. Another highlight is the Android 4.3 jellybean which cannot be found in most of the other Tabs. A Quadcore CPU helps in the high performance while the Adreno 320 GPU is more than necessary for games with high graphics. Other notable features include NFC, a 5 MP rear camera and the market price is only 230 €. This awesome tablet has become a powerful storm in the market. Its unique style with excellent quality ensures a pretty good handling. The 10.1 inch display is good but not as good as the Google Nexus 10. The quadcore 1.4 GHz processor and 2 GB RAM offers a wonderful and smooth experience even in heavy usage or even while multitasking. The Android 4.0 ICS can make you think it’s a little bit old but it is upgradable to Android 4.1 Jellybean. You can get the Samsung Galaxy Note 10 in around 380 €. The main highlight of the Google Nexus 10 from is the 10.1 inches display with a resolution of 2560 x 1600 pixels that gives you a superb experience. It is updated with Android 4.2 JB and has a RAM of 2 GB. The 5 MP camera on the back is okay but doesn’t come anywhere near the camera of the Xperia Tablet Z. The 1.2 GHz dual core CPU does fine and the Google Nexus 10 has a good battery backup. But on top of all the price is only 310 € and it is hard to find a tab in this price range with all these specs. A good looking and creative tablet from Asus which comes with a standard qwerty keyboard and trackpad. The display is to be mentioned in a good manner. The 10.1 inches LCD display has a resolution of 1920 x 1200 pixels which provides a clear view and comes nearer to the display of above mentioned Google Nexus 10. A dual core processor and 1 GB RAM ensures quality display. The 8 MP rear camera with LED flash is also notable. You can get the Asus Transformer Pad Infinity700 in the market for 430 €. These 5 are the best Android Tablets in the market. Select which one suits you according to your needs. For any kind of questions or suggestions feel free to ask, it will be my pleasure answering you. Budget is no issue, so if it was for you which one will you buy ? And please do explain the reason. Hope I'll get an answer soon, check back soon.